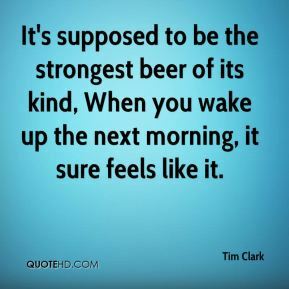 It's supposed to be the strongest beer of its kind, When you wake up the next morning, it sure feels like it. 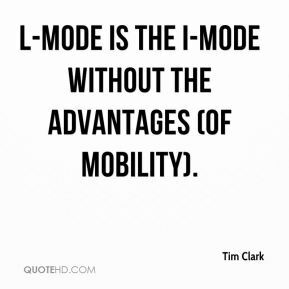 L-mode is the I-mode without the advantages (of mobility). 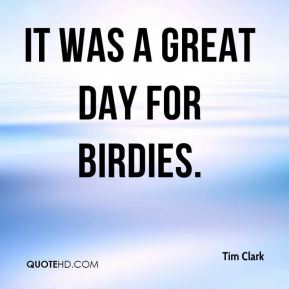 It was a great day for birdies. To get through the first eight holes in 3-under as I did was really good, but I must admit I am happy in the wind. 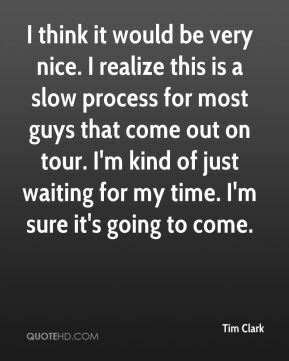 I got a bad lie in the rough there but that's going to happen on this course. It's unfortunate because that was a birdie hole today and I couldn't reach it. But in the end I made a pretty good bogey there. 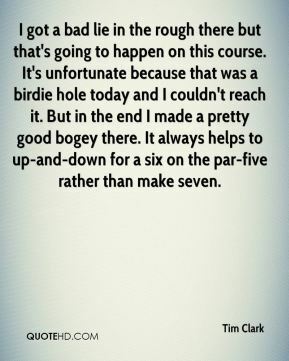 It always helps to up-and-down for a six on the par-five rather than make seven. 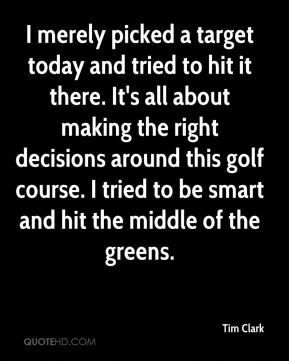 I merely picked a target today and tried to hit it there. It's all about making the right decisions around this golf course. I tried to be smart and hit the middle of the greens. 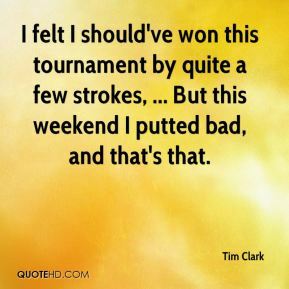 I felt I should've won this tournament by quite a few strokes, ... But this weekend I putted bad, and that's that. They did a study. 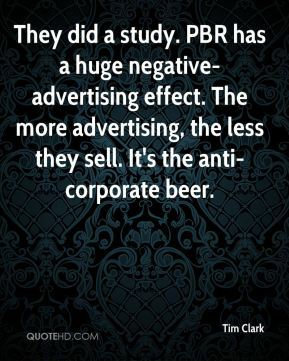 PBR has a huge negative-advertising effect. The more advertising, the less they sell. It's the anti-corporate beer. That kind of hurt me. 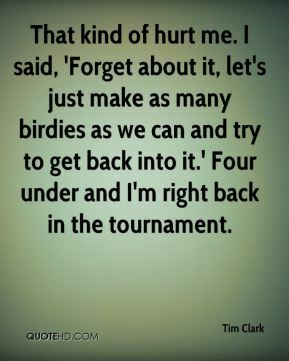 I said, 'Forget about it, let's just make as many birdies as we can and try to get back into it.' Four under and I'm right back in the tournament. 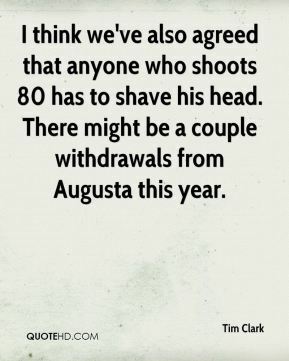 I think we've also agreed that anyone who shoots 80 has to shave his head. There might be a couple withdrawals from Augusta this year. 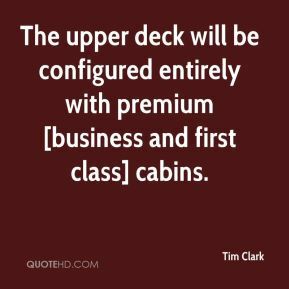 The upper deck will be configured entirely with premium [business and first class] cabins. The film commission is all about bringing outside revenues and outside attention to the Buffalo and Niagara region. 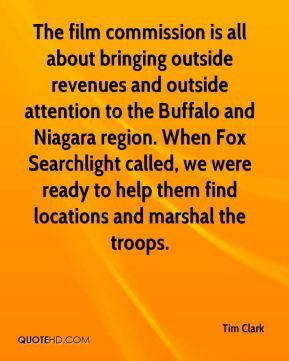 When Fox Searchlight called, we were ready to help them find locations and marshal the troops. I tried to sit on the lead. I got a little conservative there, and I think it worked against me. 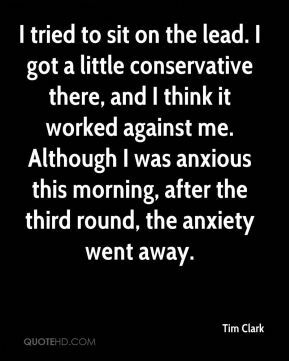 Although I was anxious this morning, after the third round, the anxiety went away. The firmness of the fairways certainly brings the field a little bit closer and the long hitters, their balls are going to be running off the fairway into the rough. So it certainly closes the gap. 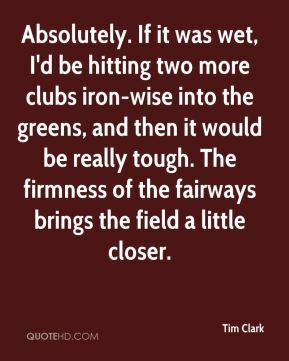 If it was wet, I'd be hitting two more clubs iron-wise into the greens, and then it would be really tough. Absolutely. If it was wet, I'd be hitting two more clubs iron-wise into the greens, and then it would be really tough. The firmness of the fairways brings the field a little closer. 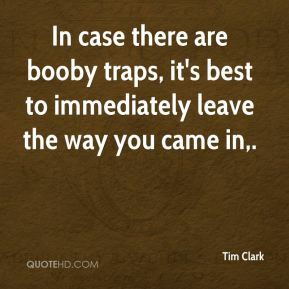 In case there are booby traps, it's best to immediately leave the way you came in. We've done a lot of research on how to make a business succeed, and we are very passionate about this. It's all we think about.